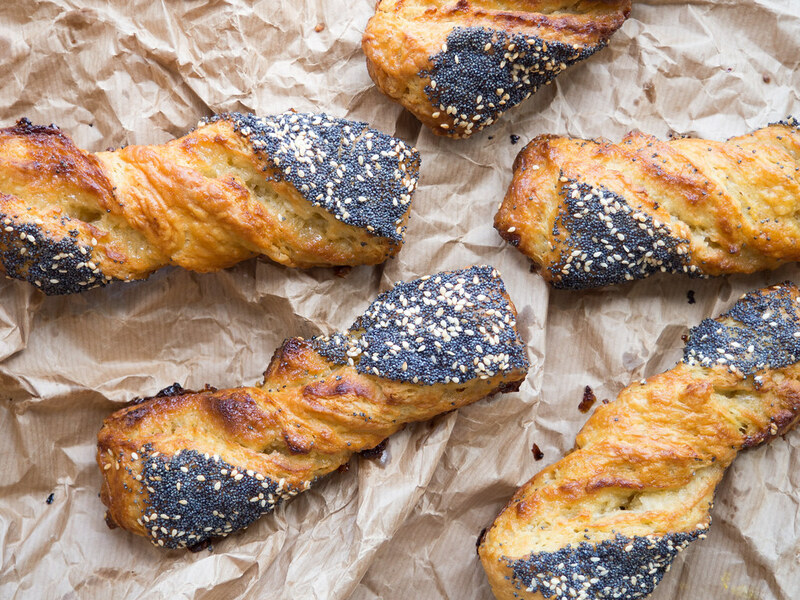 These Danish Poppy and Sesame Seed Twists or Danish Twists, for short, are a very traditional Danish Pastry which is a standard item in every bakery around the country. 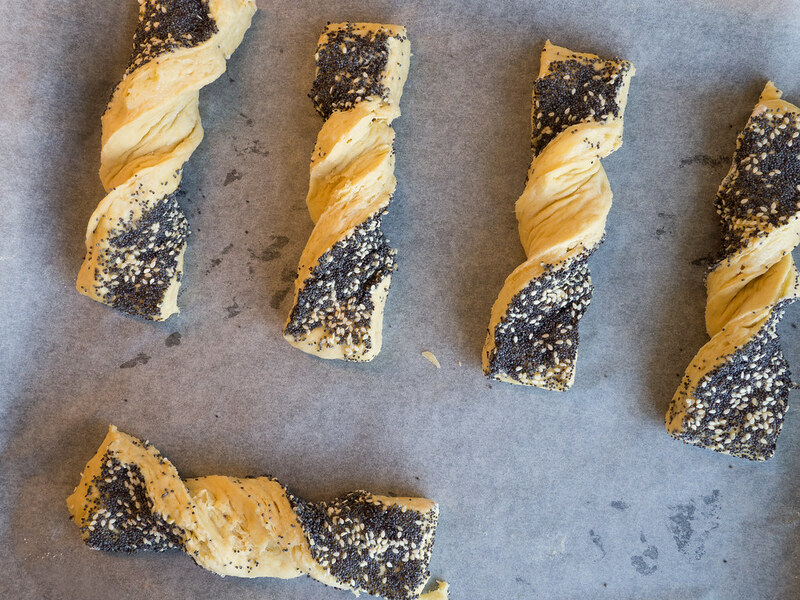 These Danish Twists are quite simple and relatively easy to make once you master the ground recipe for a pastry dough. Making a pastry dough has a couple of important steps to consider. The recipe I uses for this dough, here on my blog, is also the recipe I used as a base for a series of different Danish pastry, which is why I have decided to make a separate and single post for this base recipe. You can find this ground recipe here on my blog, browse to the Traditional Danish section or use the search field. 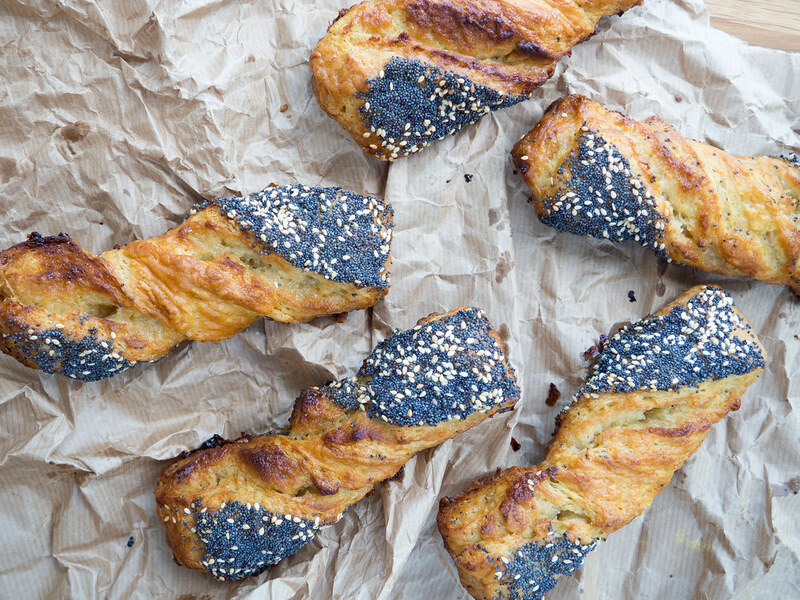 The Danish name for these Danish Twists is Frøsnapper which is actually a quite strange name. Directly translated, if it even makes sense to make this translation, would be Frog Snapper. I know, it is a strange name. Nevertheless, it is a catchy name and it is somewhat funny. I have no idea where the name came from. I clearly remember that I liked these Frøsnapper a lot when I was a kid. It was one of the things that were sold in the school canteen when I first started in kindergarten. I remember that the best school days were the ones where I had couple of coins to buy a Frøsnapper. 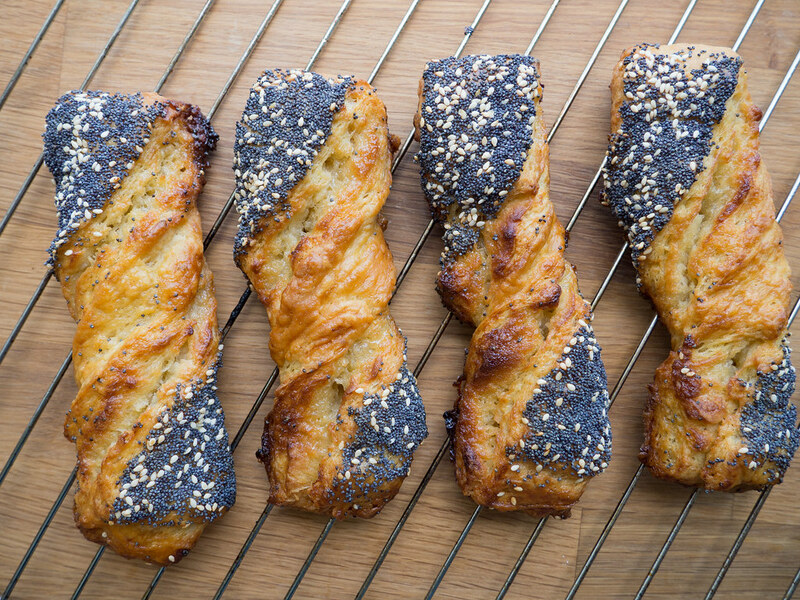 As said earlier, it is actually quite easy to make these Danish Twists. However, it does require some skills to make the base Danish Pastry Dough, which is described in a separate blog post here on NordicFoodLiving.com. When you have made a base pastry dough, the first thing you have to do is to roll it into a flat 60×30 cm (24×12 inch) sheet. In a small bowl, mix the sugar and butter and then smear it out on the lengthwise and half of the pastry dough. Fold the other half of the dough on top of the sugar and butter mixture. 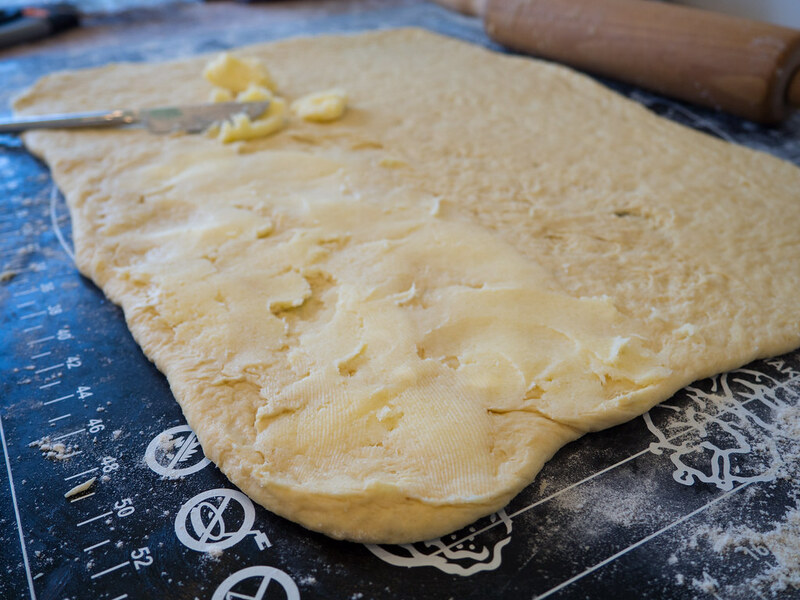 Assemble the edges of the dough and use a knife to cut 15 Frøsnapper measuring 15×4 cm (6×4.5 inch). Now twist the Frøsnapper 1 – 1.5 revolutions on the long side and place them on a parchment paper covered oven plate. Let the pastry rise for about 30-40 minutes. Brush the dough with a beaten egg and bake them in a preheated oven at 220 C (430 F) for 5 minutes before turning the heat down to 200 C (400 F). Now bake the Frøsnapper for another 15 minutes. Let them cool off before eating them. Store in an airtight plastic bag or container. Start by making a standard Danish Pastry Base Dough. I have a recipe for this here on www.NordicFoodLiving.com - search for Pastry Dough or click this link. 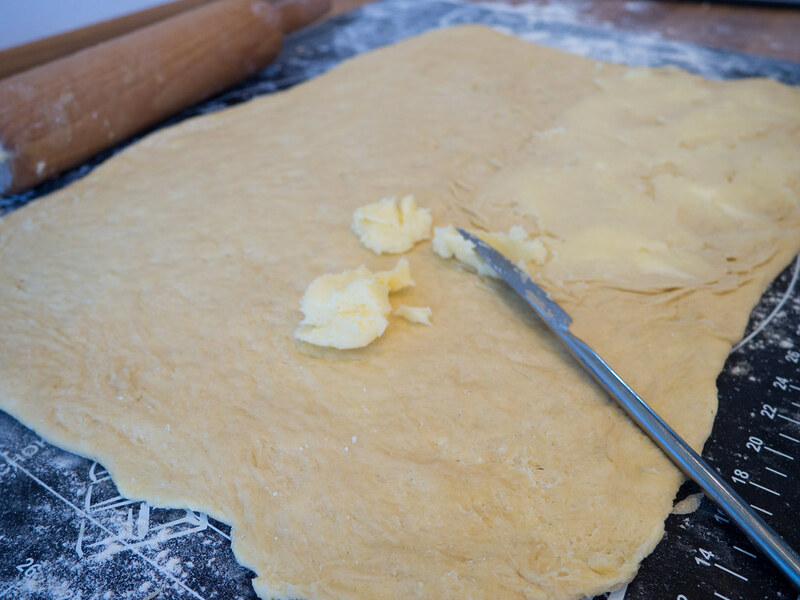 On a flour cover table, use a rolling pin to flatten the pastry dough into a 60x30 cm (24x12 inch) rectangle. Make the sugar/butter filling by mixing the two ingredients in a small bowl. Use a knife to smear out the filling lengthwise on half of the pastry dough. Now fold the other half of the dough over the part with the butter/sugar filling. The dough should now measure 60x15 cm (24x6 inch). Use your fingers to assemble the edges so that the filling is sealed inside. Brush the top of the dough with a beaten egg. Save any excessive egg for later. 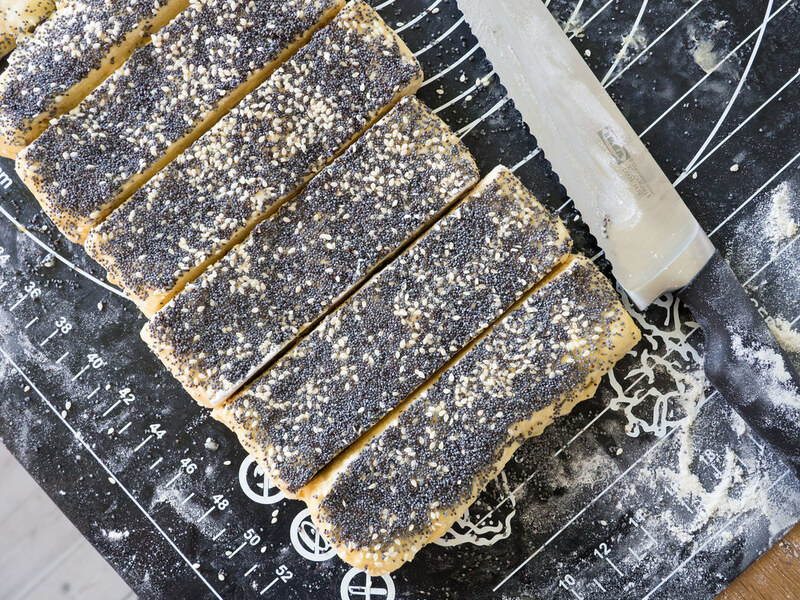 Sprinkle the dough with poppy and sesame seeds. The dough should be completely covered with seeds. Use a knife to cut the dough into 15 pieces measuring 15x4 cm (6x4.5 inch). Now twist the dough one revolution along the long side and place them on a parchment paper covered oven plate. Cover the twisted dough with a clean dishtowel or similar and let them rise for about 30-40 minutes. 10. 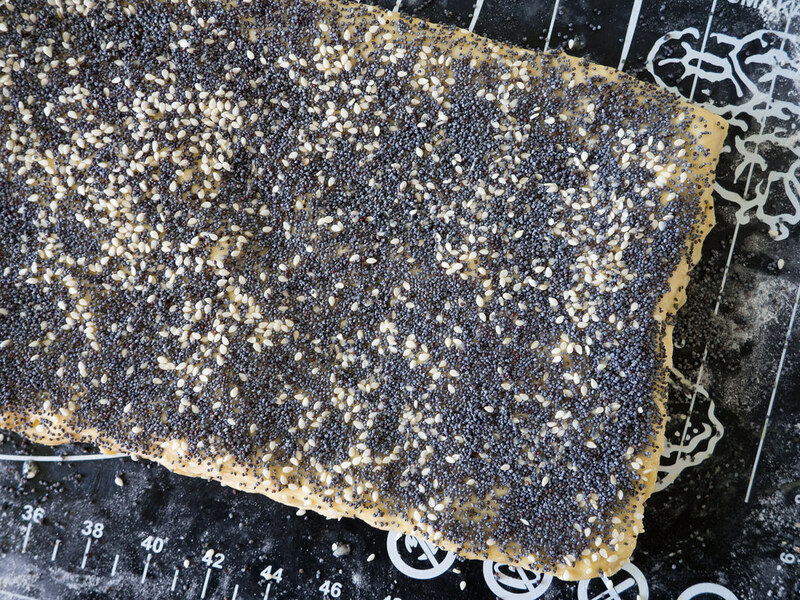 Use the rest of the beaten egg to brush the parts of the pastry that has not been covered with Poppy seeds. 11. Preheat the oven to 220 C (430 F) and then place the raised pastry at the oven's middle location. Bake the pastry for 5 minutes then turn down the heat to 200 C (400 F) and continue baking for about 15 minutes or until they are nice and golden. 12. Let the baked Twists cool off on an oven grid. Keep this danish pastry in an airtight container to keep them fresh and crisp for a longer time.